Include your full name at the top of your CV in the centre using larger text in bold. You do not need to write curriculum vitae or CV as all Head Teachers will know that this is your CV! Make sure you include your full address, contact telephone numbers and current email address. 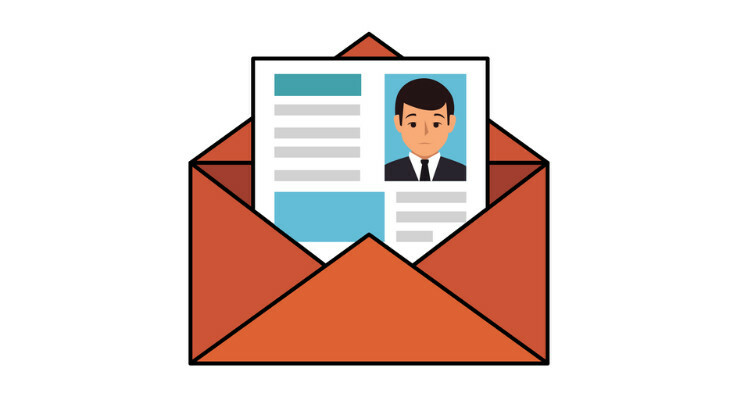 Make sure your email address you use for job searching is appropriate! I have seen many email addresses with inappropriate works and phrases included so make sure it reflects you as a professional teacher. You do not need to include your date of birth or your marital status as they are not relevant and it is a little old fashioned to do this in a modern CV. It is a great idea to include the link to your Linked In profile and Twitter profile if you have one. This is your “sales pitch” and allows the reader to see in one place a concise and condensed narrative of your experience and aspirations to date. You should be writing about why you became a teacher, what types of schools and students you have worked with over your career and what type of environments suit your teaching style. Describe your Teaching Style in detail, don’t be afraid to give examples as to how you have added value to your last/current school and where possible give facts and figures about pass rates and results. Include a sentence or two about the supply work you have done and mention the names of local schools in this section to grab the attention of the Head Teacher. Write about what type of position you are now looking for. Do you want supply only or are you also looking for a permanent post? Do you want full or part time and in what area? Most people forget that a CV should also showcase your aspirations as well as your achievements. Don’t be afraid to show off! If you are unsure of what to include, as a Teacher you work closely with in your department what they think if your teaching style. Get them to describe your strengths and use them for the basis of your profile. Whether you studied for a Cert Ed, a PGCE or worked though the schools direct program, make sure that you make it clear at the top of the qualification section how you became a qualified Teacher – don’t make it difficult for the reader. Include the dates and the name of the place you qualified. You can also outline any safeguarding training you have recently completed in this section. Include ALL qualifications from GCSE’s or equivalent onwards such as Diplomas, A2 and AS Levels and Degree. You should always state where and when the studies took place and put down what grade you achieved. It is a great idea in a Supply Teaching CV to summarise in bullet points or short sentences, your teaching experience with the most recent at the top. You can give dates, school names and job title and a short sentence or two about the position. This gives the reader a clear view of how experienced you are, which subjects you have covered and where you have worked. Later in the CV you can then go into more details about each place you worked. This is particularly important for Supply Teachers as this section can fill a whole page if you have worked on supply for a large part of your career. In this section you can go into further detail about your permanent or long term work history and describe the schools you have worked for in a little more detail such as; “a mixed comprehensive with 600 kids on roll in inner city location.”Explain in more detail the type of teaching you carried out such as; “Teaching French to Key Stage 3, 4 and 5 for first 3 years on post then moving into a purely A Level Teaching role for the remaining 12 months. Assisted with 4 French Year 8 residential to Paris and was second in department from 2nd year in post.” This allows the reader to gain a better understanding of your fit within the department and will allow them to see more about your skills and experience. There is most definitely a place in your CV for this work experience as it helps to bridge the gaps between any dates in your teaching career. Headteachers are keen to see how you have invested time and effort into your own development as a professional Supply Teacher, so make sure you include any relevant CPD and Safeguarding courses you have attended in your CV. This is an important section for a Supply Teaching CV as this can often highlight your interests that are relevant to the classroom and potentially their school. For example, an interest in Historical buildings, playing a musical instrument or singing in the local choir shows your real passion for subjects you may teach. If you play for a local football team or speak any languages or have an interest in cookery make sure you write it down. Referees should always be your most recent school/college and should include the employer name and address and the school contact’s name and email address and telephone number. If you are currently studying towards your PGCE or Teaching degree or have just qualified, then it is a good idea to put down the details of one of your placement schools as a referee as well as your course tutor. Ask someone to check your CV for you. Spelling and accuracy of dates are the two main mistakes candidates make, so make sure you do a final check before you submit your CV.